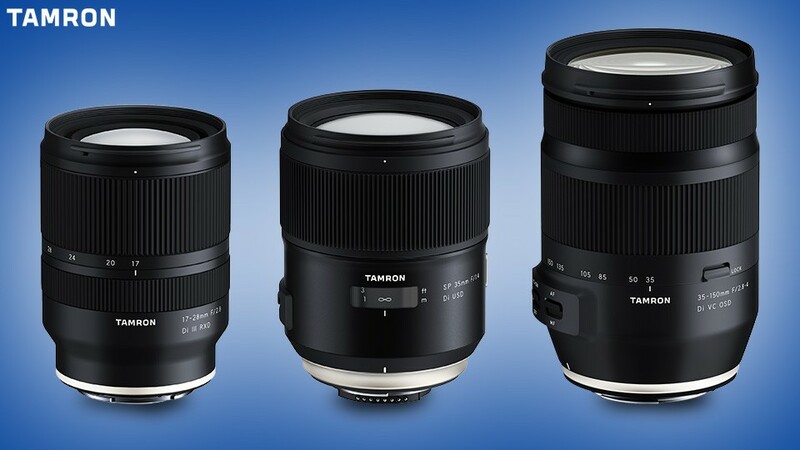 Development of Tamron FE 17-28mm f/2.8, SP 35mm f/1.4, 35-150mm f/2.8-4 Lenses Announced ! Tamron today has officially announced the development of three new full frame lenses: Tamron 17-28mm f/2.8 Di III RXD Lens for Sony full frame mirrorless cameras; Tamron SP 35mm f/1.4 Di USD Lens and Tamron 35-150mm f/2.8-4 Di VC OSD Lens for Canon EF mount & Nikon F mount full frame DSLR cameras. All these lenses will be released in the middle of 2019. Tamron SP 35mm f/1.8 for Nikon DxOMark Tested ! Tamron 35mm & 45mm f/1.8 Prime Lenses Review: Better than Sigma 35mm Art ? Previous Previous post: Ricoh GR III to be Announced Soon ! Next Next post: Ricoh G900, WG-6 Compact Cameras Also to be Announced Soon !